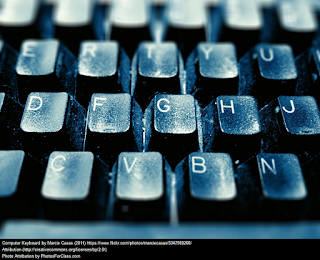 What do you look for in a technology rich classroom? Watch the kids, not the tech. Last week our director of educational technology, Dr. Robert Grano, came to visit my class because he heard that I use technology effectively with my students. Knowing his job title and the purpose of his visit I was prepared to show him how I use a spreadsheet I created to place my students in groups for differentiation, how our class blog facilitates the lesson, how I model using tech tools, and how work flow patterns in Google Drive facilitate formative assessment. My students were nearing the end of writing a process essay comparing a film and a short story, but they were all in different stages of completion. 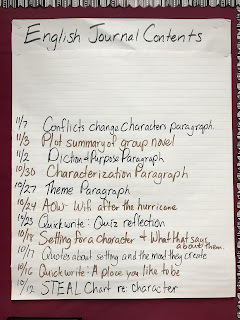 Some still needed to go back a re-watch a video lesson from Monday about building paragraphs, others needed to add an introduction or conclusion, and a few were engaged in peer-review. As I moved around the room supporting students, and my visitors moved around the room to speak with students about their work, I flattered myself that this was going pretty well. 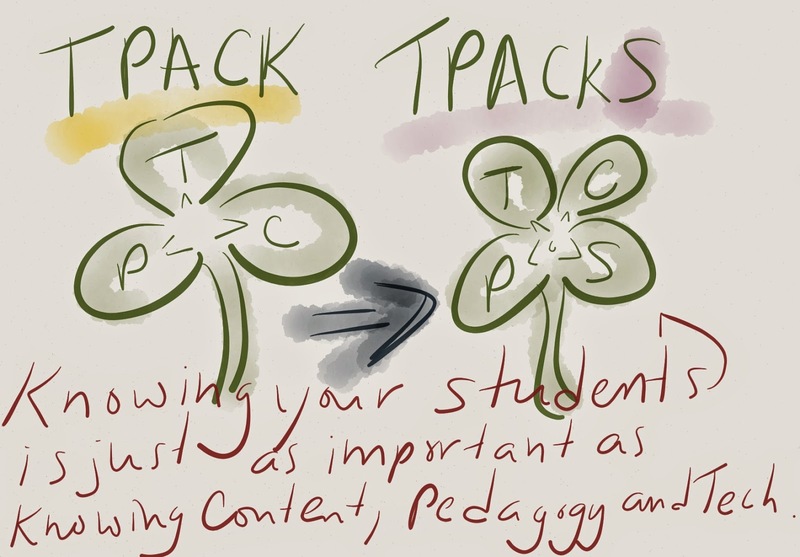 The model that popped into my head was TPACK (technical, pedagogical, content knowledge). My students and I knew the content and writing process very well, I knew the pedagogical moves I needed to make with each student, and we were all comfortable with the technology we were using to make it work effectively. I was particularly struck that he noticed how well I know my students, and the fact that knowing my students was a crucial element in making instruction effective. When I take that back to the TPACK model however, there is no place for students. They just don't figure into the configuration. Of course I happen to be writing this on St. Patrick's day it, so seems appropriate to convert the three leaf clover into a four leaf clover. Knowing your students is just as important as knowing content, pedagogy and technology.